The Project 52 theme for this week is “About the Photographer”… a tough one for me as I prefer my place behind the camera, rather than in front of it. But none the less, here we go. For myself, photography is about sharing moments, memories and the sensibilities that bind them together. My “happy place” is often found in the simple times, the quiet moments and I relish the beauty that I find there. My hope is that, through my photography, I am able to depict and share the essence, not merely the existence, of what I see. For many years I have shared my life and my home with dogs and it is now to the point where I can imagine my life in no other way. For a long time my pack consisted of three…Sadie, Coco and Lacie. Sadie and Coco were the two seniors with Lacie entering the picture about 4 years ago. Along with Bear, the Manx cat, our home and hearts were full. Bear, Sadie and Coco are gone now and my heart aches with the loss of these three souls but I am forever grateful for having been able to share my life with theirs. Lovely Lacie remains and these days I hold her close. To be able to combine my passion for photography with my love for dogs has been a blessing. Several years ago I was given the opportunity to photograph the shelter dogs going up for adoption at our local Animal Services. Today, 8 years later, this is where you will still find me. I love these dogs, they have come to own my heart. Being able to work closely with them and assist in helping them find good homes has become a passion and a joy. This recent photo taken at the shelter makes me smile. Being the photographer I don’t have many photos of myself, let alone a photo of me taking a photo. I love it. Thanks Leland! And, in case you are curious… these are the photos of beautiful adoptable Balto from that day. This post is part of the Pet Photography Project 52 blog circle. To see what the next photographer is sharing for the weekly theme, “about the photographer”, visit Elaine Tweedy of I Got The Shot Photography, serving pets and their people in Northeastern PA. Continue to click the link at the end of each post in the blog circle until you eventually find your way back here. Enjoy! Welcome to the group, Colleen. I loved reading about you. Thank you for helping shelter pets! Beautiful photos! Thank you for your kind words, Elaine. I am really very excited about being a part of this blog circle. Who would we be without dogs in our lives? I don’t even want to think about it. Loved your post, fellow Canadian. Hi Angela! It is always so much fun to meet a fellow Canadian on the blogosphere. It was definitely Winterpeg this past little while. The temps were -20C for the dogs and I this past week at the shelter. That made for quick photo sessions :) Thank goodness for the prairie sunshine. 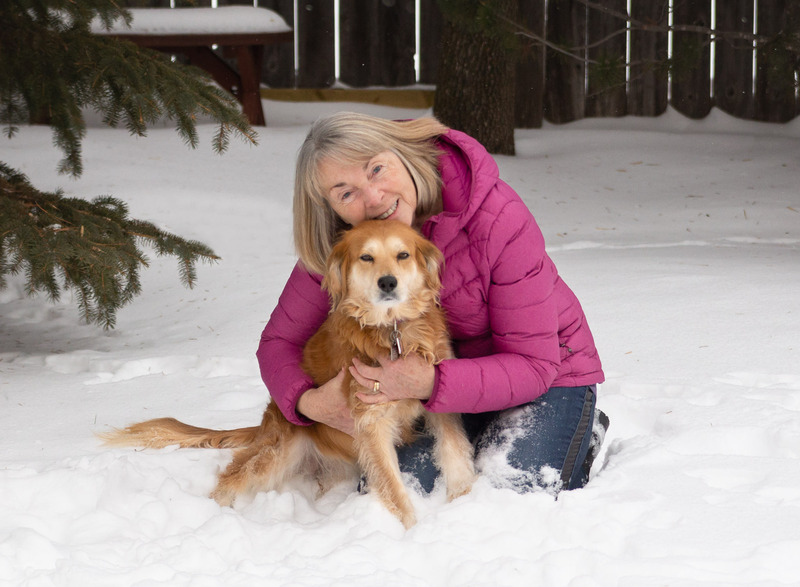 Lovely photographs – I now see that the dogs just hang out in snow like they do sand here in Florida! I also photograph rescue dogs, so I say thank you for volunteering your services to help those looking for their home. 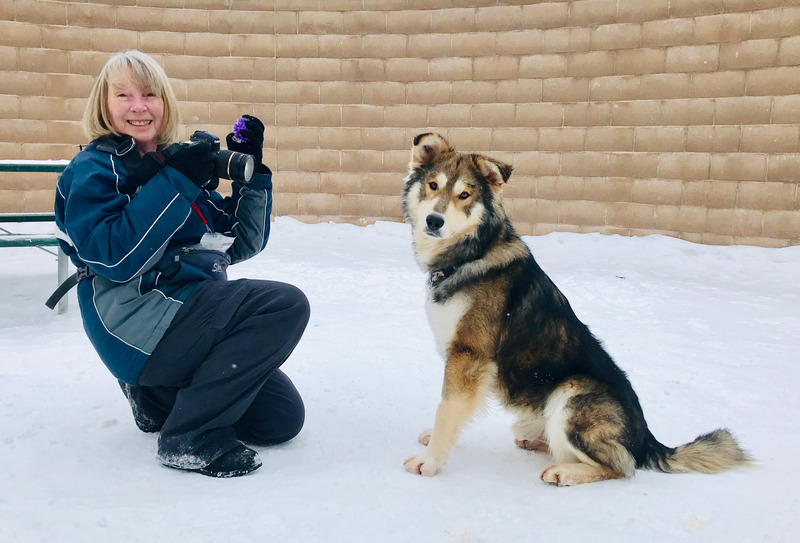 Great post Colleen… Lacie and Balto are both adorable! I live in Sydney, Australia and it’s stinking hot here so it is so lovely to see your shelter photos in the snow! It was about 36 degrees celsius during my visit to my shelter last week… they had all the sprinklers on to keep the dogs cool and all the cats rooms were closed with the air conditioning on full. 8 years! That’s dedication! Well done, I’ve been photographing at my own local animal shelter for almost 7 years now. And I love that image of you and Balto (and what a fitting name! ), you can see you love what you do!